Usually What people do mistake is that ,they train there biceps , Triceps and other muscles and don’t give important to train there forearm muscles, therefore there biceps and triceps looks bigger but Forearm looks skinny . I am Here to train you with 4 Top Forearm Exercise ( workout ) which you can apply in your exercise after completing your regular workout schedule, Weekly 2 days or 3 days . the ” barbell wrist curl ” is an extremely effective workout that targets the flexor muscles of the forearm. It can be done using an appropriate machine or a weighted barbell. Hold a barbell with both hands and your palms facing up; hands spaced about shoulder width. Place your feet flat on the floor, at a distance that is slightly wider than shoulder width apart. Lean forward and place your forearms on top of your upper thighs with your palms up. Tip:Make sure that the front of the wrists lay on top of your knees. This will be your starting position. Lower the bar as far as possible while inhaling and keeping a tight grip. Tip: Only the wrist should move. 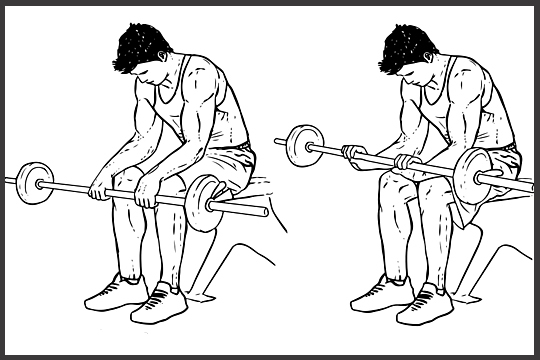 The barbell reverse wrist curl is a very similar motion to the common barbell curl listed above, and focuses primarily on the forearm extensor muscles. Hold a barbell with both hands and your palms facing Down; hands spaced about shoulder width. 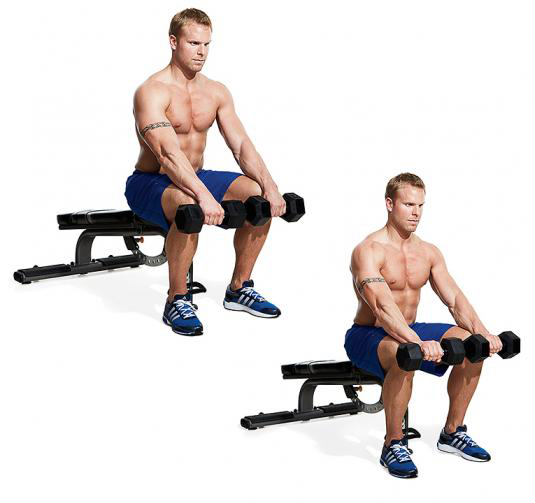 Now curl bar up as high as possible while flexing the forearms and exhaling. Hold the contraction at the top for a second and . 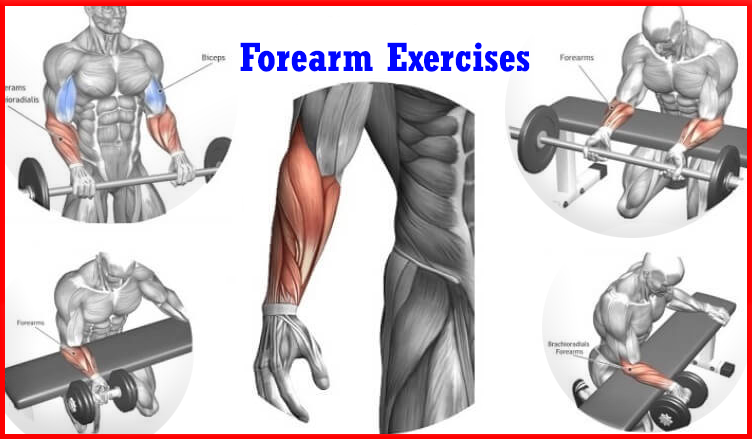 This is one of the top forearm exercises that is absolutely great for the forearm flexors. This motion allows you to work each forearm individually. By working with the individual weights, you’re able to establish a greater sense of balance. Hold a Dumbell with siingle hand or both hands and your palms facing Down; hands spaced about shoulder width. While these workouts may seem similar to another, the change in position completely changes the targeted muscle group. 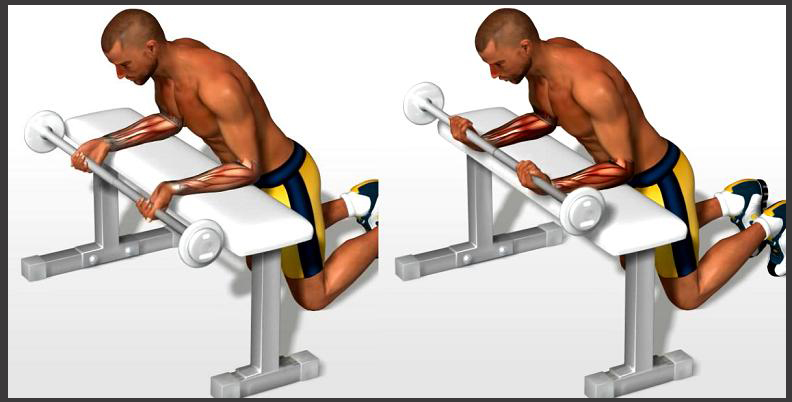 The reverse wrist curl targets the bulk of the extensors.